Solar street lighting system is an ideal lighting system for the illumination of streets, squares and cross roads located in areas that are not connected to the power grid. The fully integrated system combines the latest and most innovative technologies available providing years of convenient and trouble free lighting. Fully assembled factory tested kits are available with or without mounting poles. The standalone solar photovoltaic street lighting system comprises of a CFL/ LED as light source, storage battery, PV modules and mechanical hardware for fixing these sub systems. 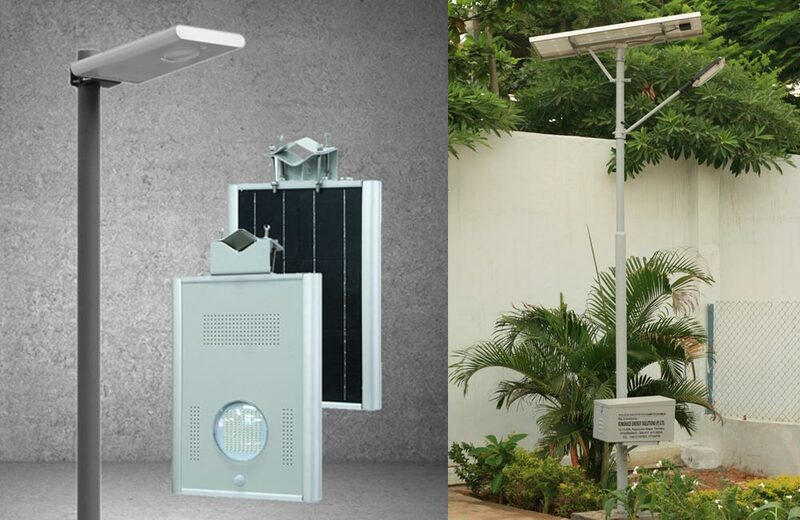 Solar street light system is available either with automatic dusk to down operation or with a pre-set timer.